There is healthy competition within BTS, the seven-member K-pop boy band, the act’s dancer and rapper J-Hope said during a livestream Monday. Airing from his brand-new studio in Seoul, the former street dancer said his “lack of musical skills,” or at least a lack of confidence in those skills, was keeping him from pursuing opportunities to collaborate with other artists. 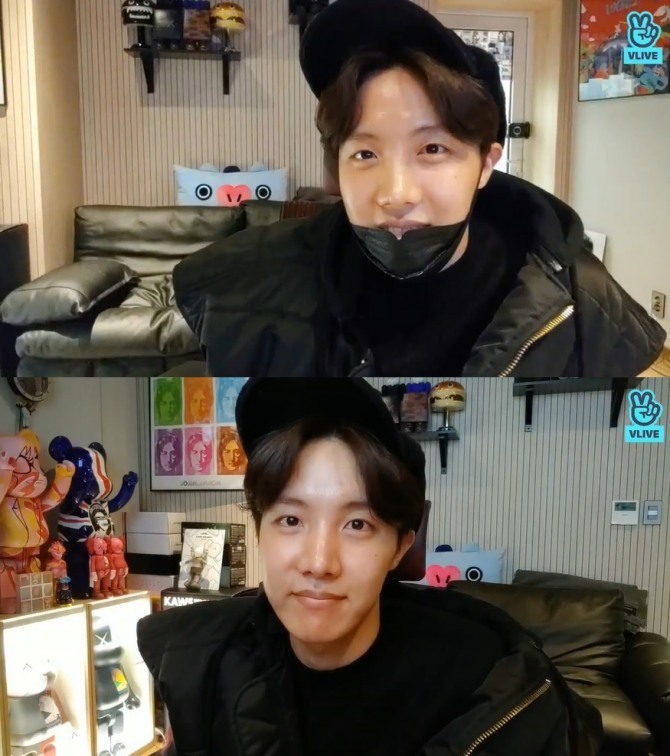 During the 56-minute solo broadcast on V Live, South Korea’s celebrity livestreaming platform, J-Hope opened up about his insecurities. J-Hope was listening to “Song Request,” a product of three-way collaboration among singer Lee So-ra, Tablo of the band Epik High and BTS member Suga, when the topic of musical collaboration came up in a fan’s question. The song, which featured Suga rapping, was released Jan. 22 -- only three weeks after “Promise,” the first song written and sung by Jimin, the band’s main vocalist. “When I think of collaboration, I feel like I am still not ready yet. I thought my mixtape would serve as my business card, but it wasn’t everything,” said J-Hope, whose real name is Jung Ho-seok. “The depth of understanding about music -- I lag on that front. I tend to avoid that kind of work,” said the 24-year-old Korean national. J-Hope’s first solo mixtape, “Hope World,” was released worldwide in March last year and climbed to No. 38 on the Billboard 200, making him the highest-ranking Korean solo artist on Billboard at that time. The record was broken by none other than his bandmate RM. RM's mixtape "Mono," released in October, peaked at No. 26 on the same US music chart. “But these amazing works by our members really inspire me. It makes me want to write great songs and want to work with great artists,” he said. 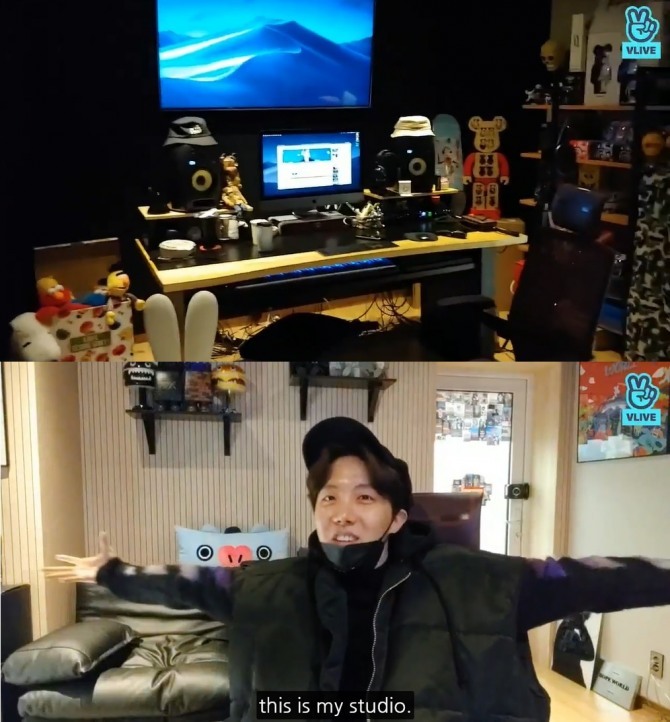 J-Hope kicked off the livestream with a tour of his brand-new studio, which he had filled up with his private collections of figurines, toys and art. He showed off “Hope on the Street” hats, a framed "Hope World" album cover poster and a pair of Kaws sneakers. 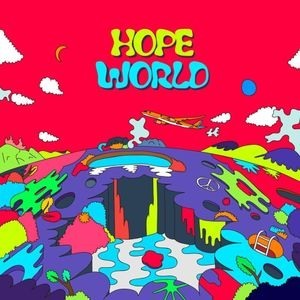 “This is Hope World. A place that expresses myself,” he said. Some of the items were from bandmates and fans, but many were his own purchases, he said. 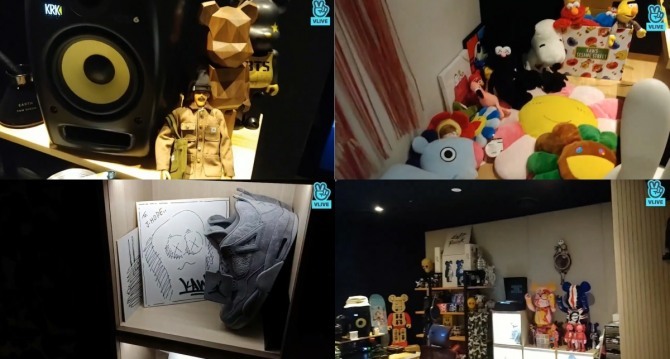 “My collection is small compared to RM’s,” he said, likening RM’s place to a museum. RM’s studio was just across the corridor at Bit Hit Entertainment’s new office, he added. It was his second studio and he had special feeling for the old one, J-Hope said. In the old Bit Hit office, RM and Suga had their own private studios, but J-Hope didn’t. He started using a small “BTS room” as his workplace and it naturally turned into his studio, he explained. Aside from group activities and BTS album promotions, he spent time traveling, eating good food and meeting friends. Watch J-Hope’s broadcast at https://www.vlive.tv/video/110957.